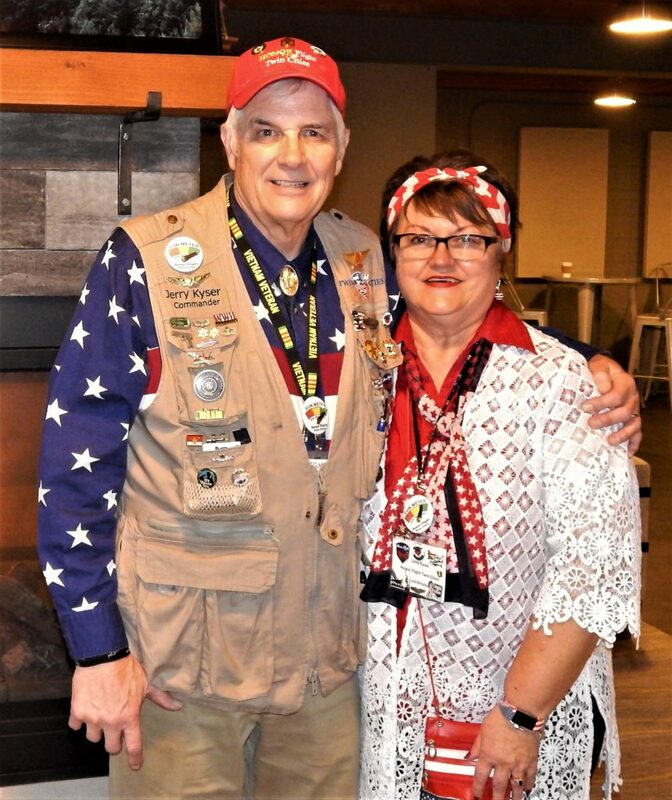 The Honor Flight Twin Cities was co-founded in 2008 by Jerry and Jana Kyser from Roseville, MN. Jerry is a US Army Aviation Combat Disabled Vietnam Veteran who since 2001 has dedicated his time to serving veterans. He is the Chairman of the United Veterans Legislative Council, Co-Chairman of Military Action Group, Stillwater Prison Veterans Advocate. He is a pilot with the Commemorative Air Force and Executive Director of the MN Vietnam Veterans Charity Car Donation Program. Jerry was the recipient of the 2014 Veteran Voice Award. In 2016, Jerry received National recognition by being awarded the Ellis Island Medals of Honor Award in New York. Jana is the widow of a Vietnam Veteran who returned home emotionally damaged and died in a drowning accident a year later. The former elementary school teacher is retired following a 30 year career with Steven Scott Apartment Management Co. She began working as a caretaker and advanced to the position of Director of Property Management. Honor Flight Twin Cities’ Mission is to transport Minnesota and Western Wisconsin Veterans to Washington DC to visit those memorials dedicated to honor the service and sacrifices of themselves and their friends. Since 2008 Honor Flight Twin Cities has completed 21 Charter flights with Sun Country Airline to Washington DC. There have been 1,800 Veterans and 1,700 Guardians who have participated on this emotional, physical and spiritual one-day mission. There are 250 Veterans on the waiting list. Jerry and Jana have 2 adult children and 5 grandchildren. In the process of serving their American Heroes, they have found deeper love for each other, stronger faith as well as healing for their own deep wounds from the Vietnam war.